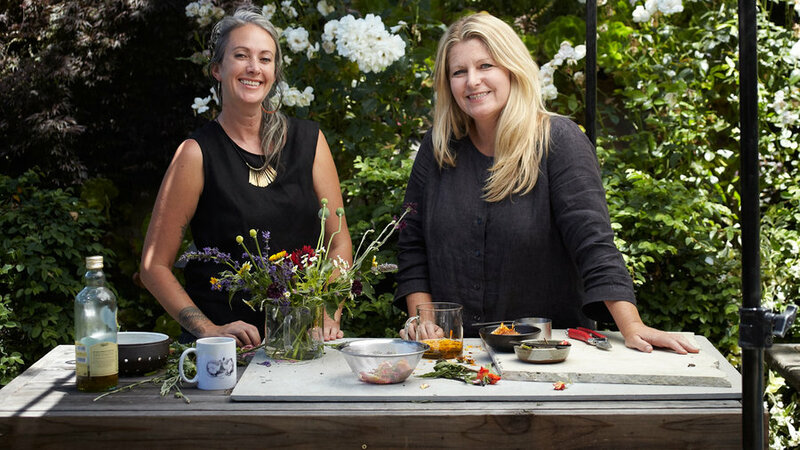 We’re longtime advocates of homegrown flowers—big believers in having our centerpieces be as fresh and sustainable as the food on our plates. 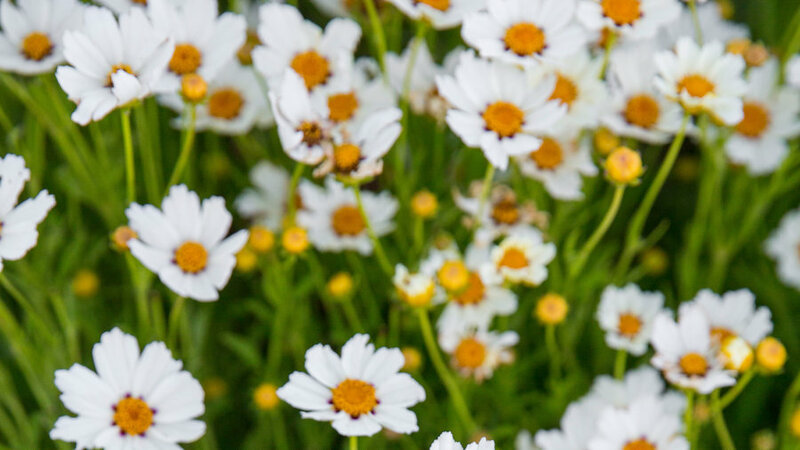 Besides filling the pages of the magazine, the blooms we grow in a Sunset garden have sentimental value, too, finding their ways into our lives—at employee weddings, memorials for loved ones, and bouquets in the office. 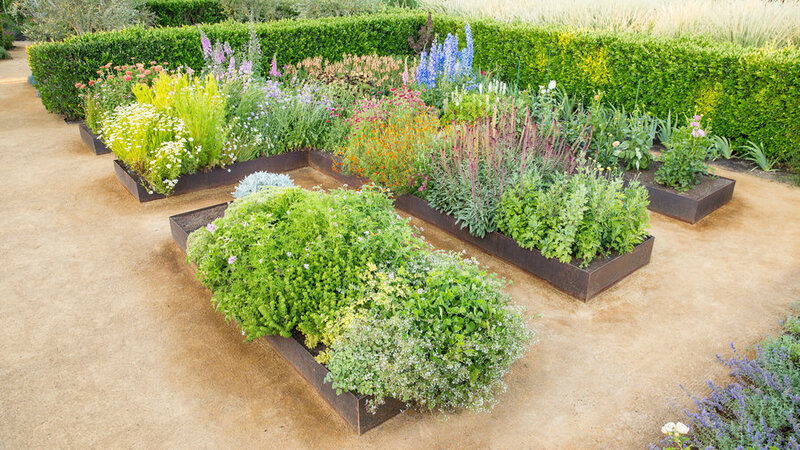 At our Test Gardens located at Cornerstone Sonoma, floral designer Alethea Harampolis helps us carry on the tradition, planting the Flower Room with a dazzling mix of her favorite blooms, ideal for future stories (and eye candy every day). 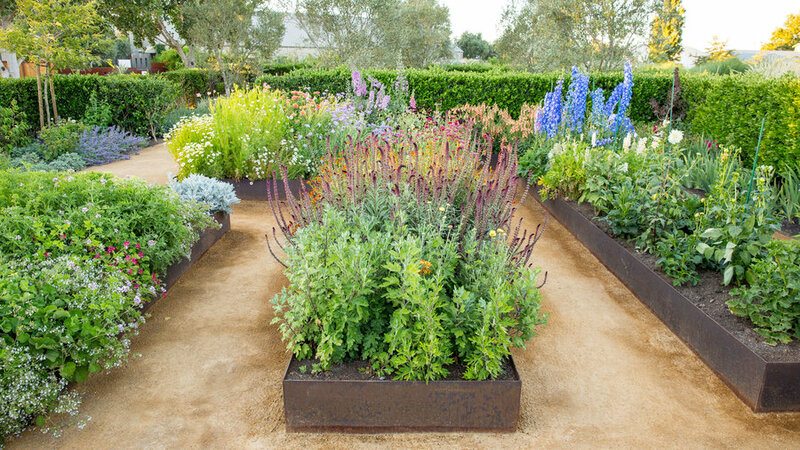 Consisting of three large raised beds (dedicated to focal flowers, secondary accents, and foliage), made from Cor-ten steel and an in-ground border with vines like clematis jasmine and sweet peas creeping up the privet hedge, the flower room celebrates life’s wild and whimsical side. 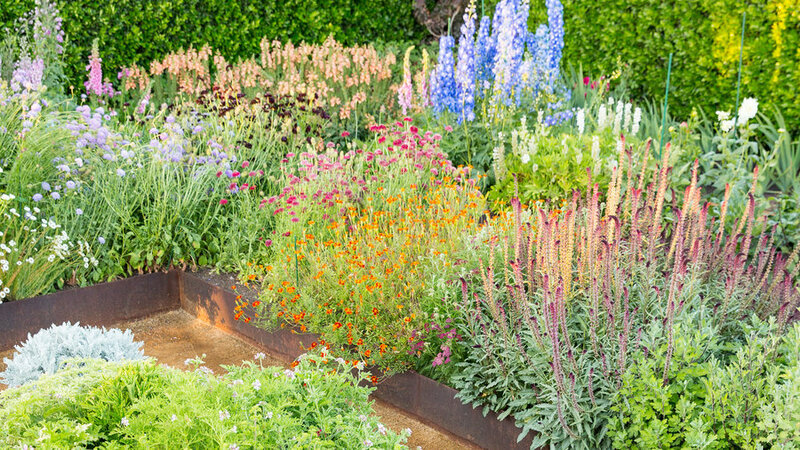 Viewed from above, the riot of color in the Flower Garden resolves itself into individual elements: Clumps of Lysimachia atropurpurea, delphinium, coreopsis, and foxglove all combine to form a spectrum of color. 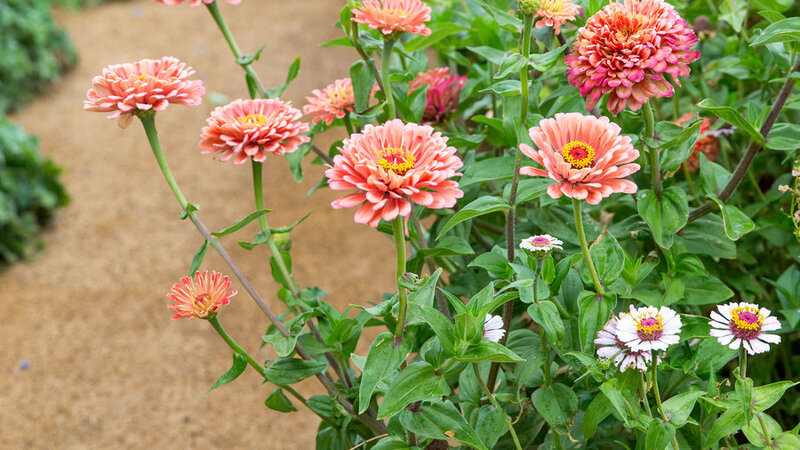 A duo of zinnias--tall ‘Benary’s Giant Salmon Rose’ and ‘Zinderella Peach’--spill out of their bed. 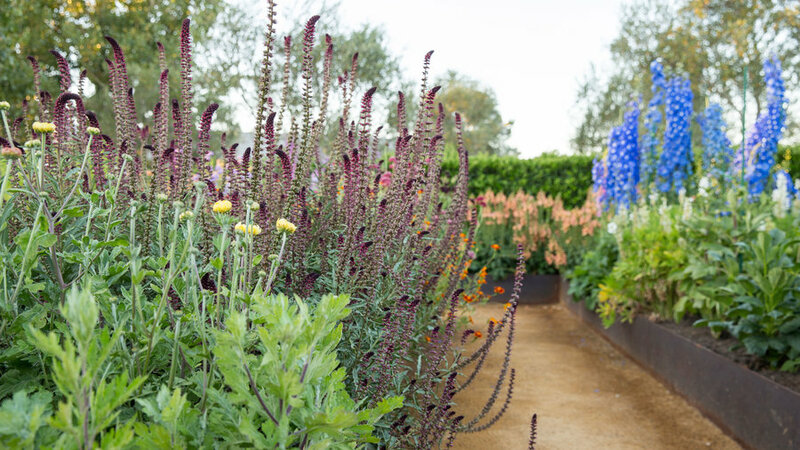 Heirloom mums start to form buds in the foreground, while Lysimachia atropurpurea ‘Beaujolais’ curves this way and that, behind it. Towards the back of the photo, the peachy blooms of Apricot Illumination ‘Apricot’ Digiplexis form a thicket, and 'Cobalt Dreams’ delphinium stands tall at right. 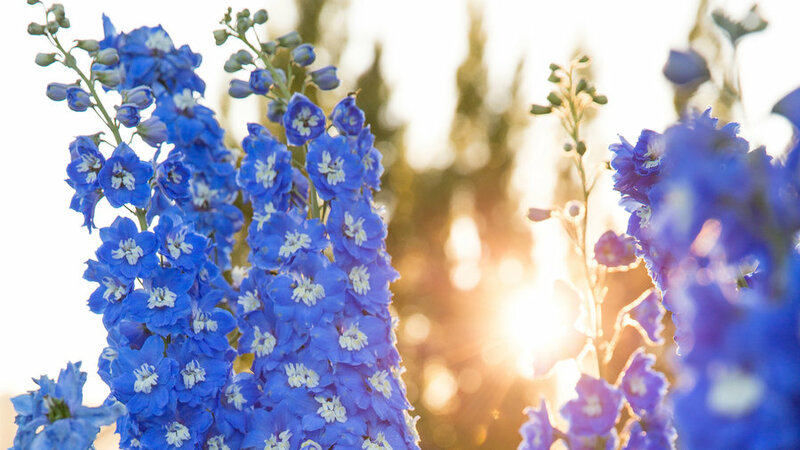 “There aren’t a lot of blue flowers out there, and this one is my favorites,” designer Harampolis says of ‘Cobalt Dreams’ delphinium, one of the bluest flowers there is. Cheery Coreopsis ‘Star Cluster’ thrives in the raised bed dedicated to secondary flowers, or “bits,” as designer Harampolis calls them. 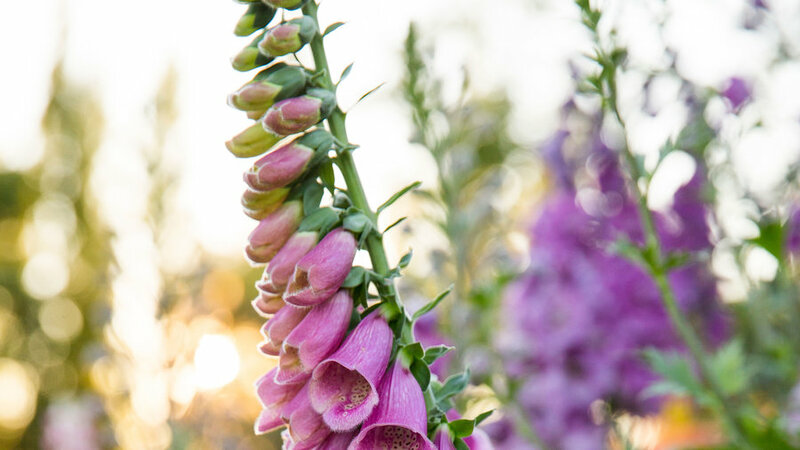 The tubular flowers of a purplish-pink foxglove tempt bees and hummingbirds to make a pit stop in the garden. 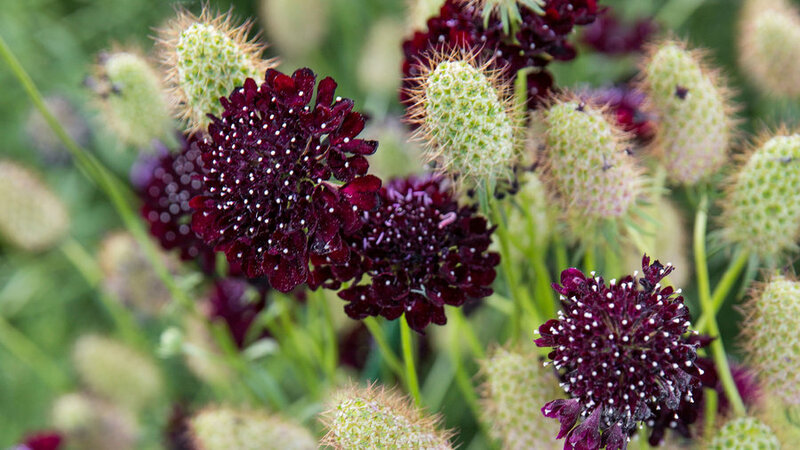 Fully blooming Scabiosa atropurpurea ‘Black’ intermingle with spent flowers, which, if left on the plant, eventually become fascinatingly whimsical seed pods, perfect additions to late summer and early fall arrangements. 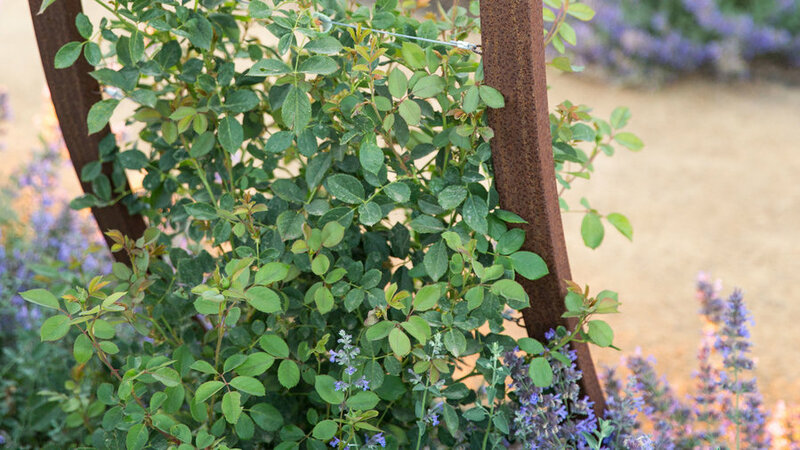 To match the Cor-ten metal raised beds, Jennifer Asher of Terra Trellis made us a matching out of weathered steel. 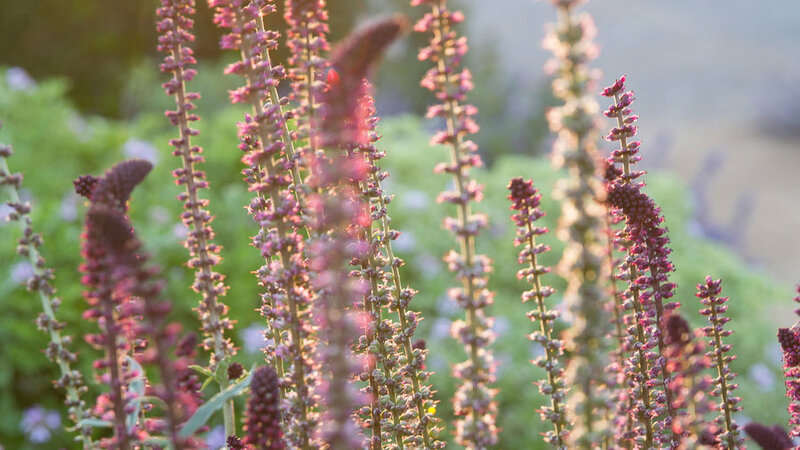 Homestead Design Collective worked with the experts from to select the perfect varieties for Sonoma’s climate. We’re giant fans of David Austin's because they combine old rose flower form and fragrance with modern innovations of disease prevention and vigor. Here, one begins its journey up the arbor, with a classic undreplanting of catmint (Nepeta). The following businesses made contributions to the Cornerstone project: , , , , , , , , and . We extend a warm thank-you to all!